Three heads. The back up head at the painting table. Foam rubber puppets need a lot of attention. Whether it be heat, humidity, cold, damp, it doesn't matter, they all have a negative effect on them. The Leith puppet has held up rather well in the first couple of months of shooting but she has started to show some signs of wear and tear. 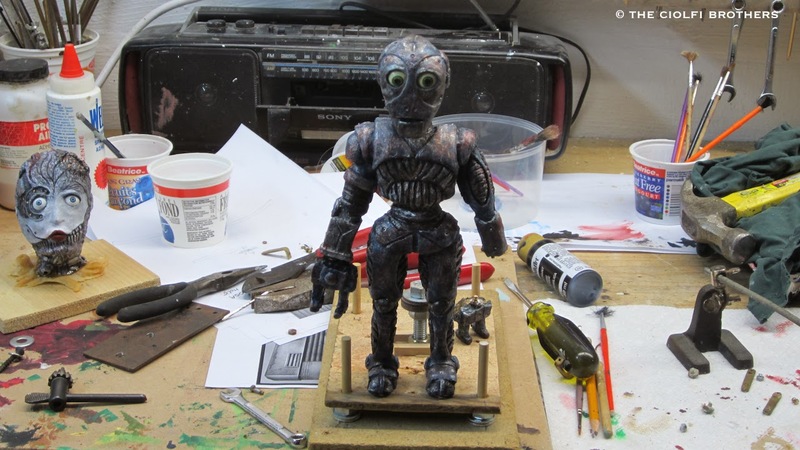 Today I spent several hours tightening the armature and touching up the paint job. 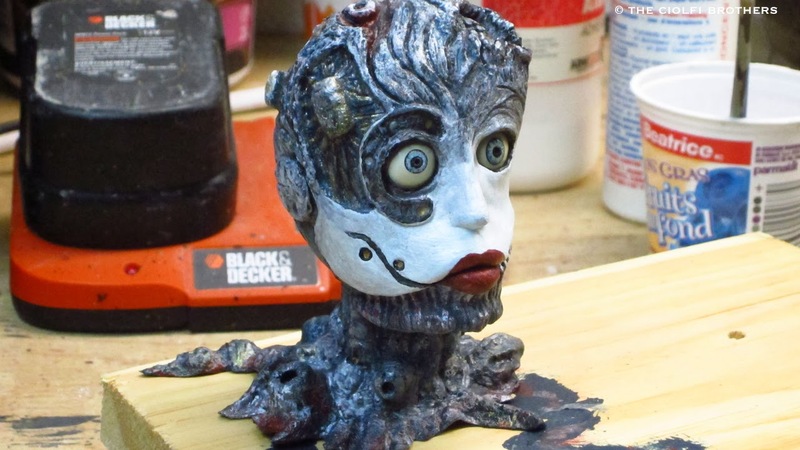 The completed paint job on the back up puppet. I'm also quit certain that I will need the second fully armatured puppet to take over the role at some point. All of the shots that have been completed thus far have been from the second scene in the film. 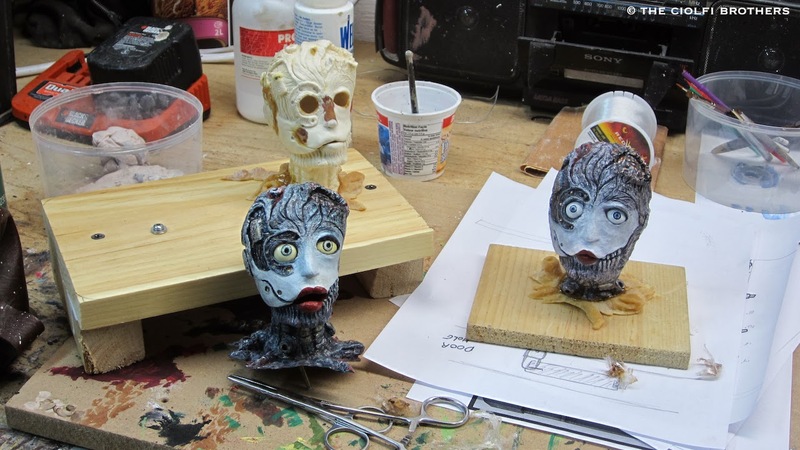 I will most likely make the switch to the second puppet for the opening scene in order to avoid any noticeable discrepancies in the final paint job. Isaac has also made his first trip to the animation table and immediately needed his left hand repaired. Isaac with a broken wrist awaits repairs. The ball joint in the wrist (which is very small) snapped during his first shot and needed replacing. It was a fairly simple procedure but just another example of the unexpected nature of stop motion animation. I like the look of fully sculpted, moulded and painted foam rubber puppets but keeping them looking their best is always a challenge.